"BPIS, BBPISS CH. ROANEDEN'S BRIGHTEST STAR RN"
Vega wins Best Puppy in Show !!!! ​Vega is our youngest Harvey x Phoebe daughter. She is a wonderful, outgoing puppy, whom we can't take anywhere without having everyone who meets her want to take her home! Vega carries lots of coat and good solid bone in a compact body. Vega loves to swim and retrieve. She is a natural! 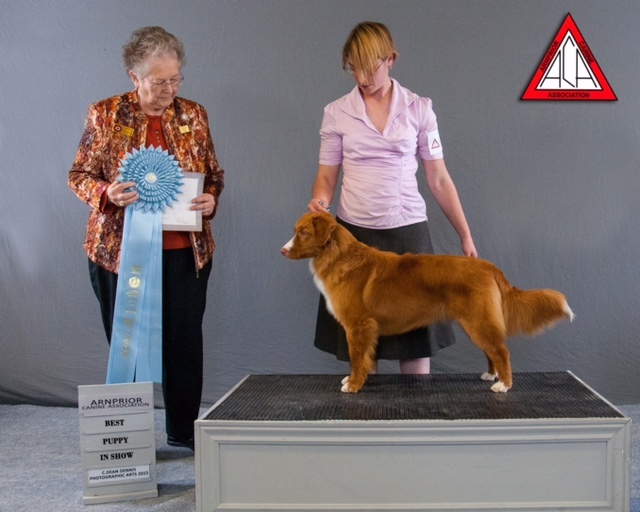 Vega wins Best Puppy in Show at the Anprior Kennel Club Show, April 9, 2015, under past US National Toller Specialty Virginia Lyne. 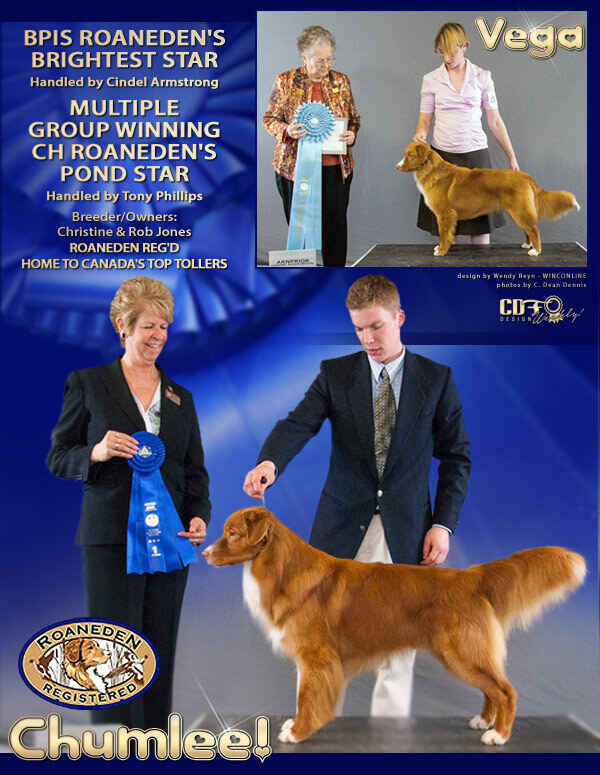 Vega is our second Toller girl to win such an honour under Ms. Lyne. Vega is working towards her American Championship and Obedience titles for 2017. *Anprior Kennel Club - Best of Winners, Best of Opposite x 2 - 4 pts, WB, 1 pt, Best Puppy in Group, Best Puppy in Show!!!! 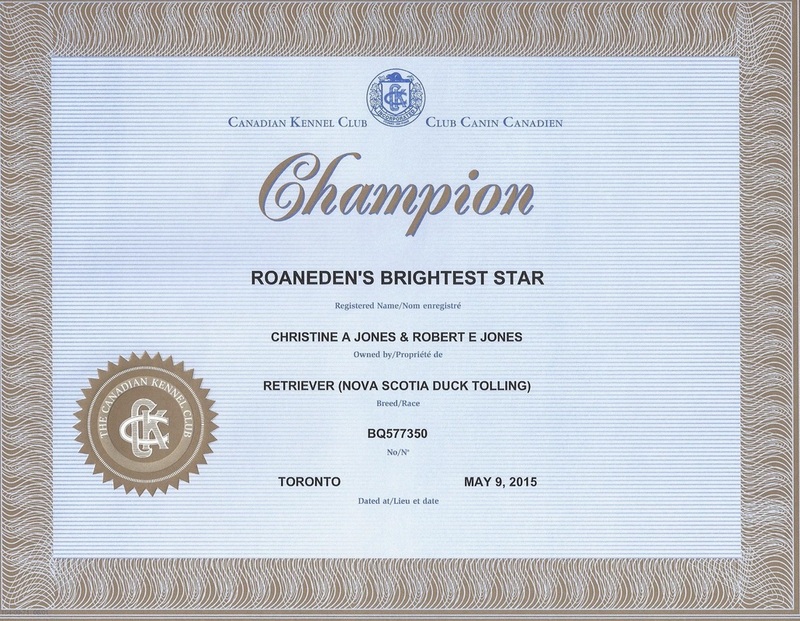 *KW Kennel Club - Ontario Toller Club Booster - BOW, WB, BP -2 points to finish her CKC CH and Best Puppy in Group! *Trafalger Dog Sorts Dec' 15 - Vega earns her Rally Novice Title with two more Q's including a High in Class Award!